Want to Evangelize the Good ‘ole Fashioned Way with Lots of Friends? Want to Learn How? Check this out! 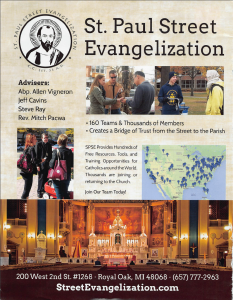 St. Paul Street Evangelism is exploding with groups across the country and even the world. Likeminded Catholics tired of silence finally are hitting the streets together, having fun, sharing the Good News of Jesus and changing lives. Tired of just “wanting to evangelize”? Not sure what it is or how to do it? How about taking classes with other Catholics and learning HOW to share your faith and tell others about the Catholic Faith? If any of this starts your heart pumping, click on the image to the right, contact the SPSE and get started. Everyone who is doing it is loving it! People are coming to Christ and back to his Church. 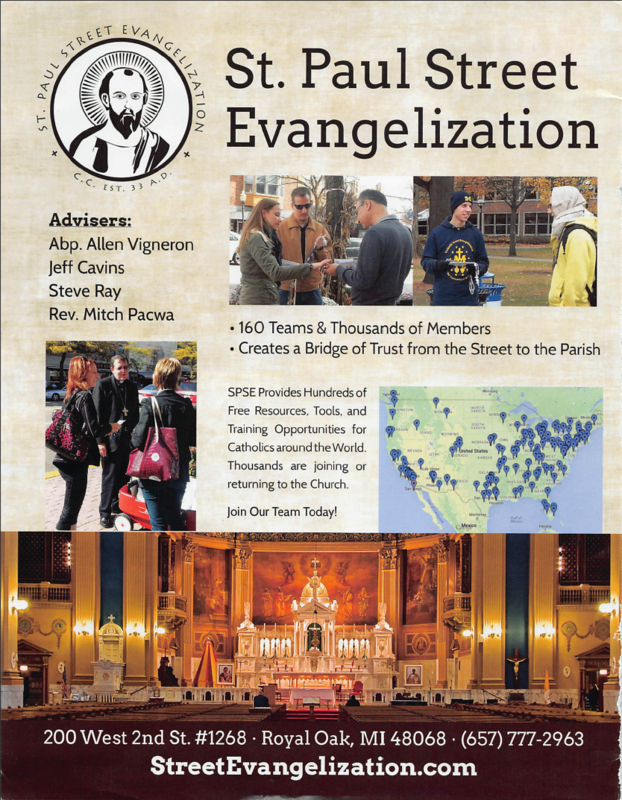 Visit their website at http://www.streetevangelization.com or call 657-777-2963.